There is no doubt that Nigerian English is the world’s fastest-growing and most vibrant non-native English variety. This is isn’t just because of the remarkable numerical strength of the people who speak it, or the fact that Nigeria’s thriving movie industry is relentlessly internationalizing it, but also because of its admirable lexical fertility and expressive exuberance. It’s impossible to capture in this column all the words that trended in Nigerian English in 2016, but the following effortlessly jumped out at me. 1. “Grass cutter.” Native English speakers might think this is an alternative name for a lawn mower, and people who are inclined to animal husbandry might think it refers to the colloquial name for African brush-tailed porcupine. 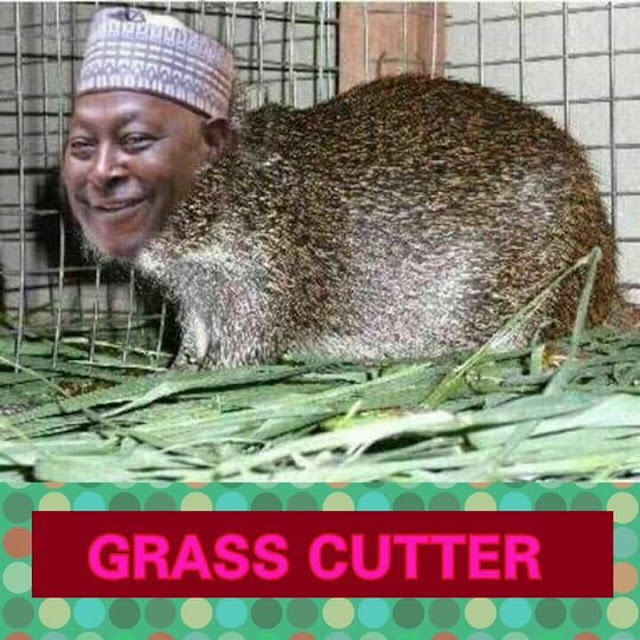 Well, it actually refers to Nigeria’s Secretary to the Government of the Federation Babachir David Lawal who spent more than N200 million naira to cut grass, or “invasive plant species,” for internally displaced Boko Haram victims, many of whom have died of malnutrition and hunger. “‘Yam eater’ means a corrupt person; one who steals from the public treasury without any tinge of compunction…. Some time ago, former Nigerian president Goodluck Jonathan, in his attempt to underscore his notion of the inevitability of corruption, said if you put a goat and yams in the same room the goat can't help but eat the yams. 2. “Change.” This was probably the most talked-about word in Nigerian English in 2016. “Change” was the Buhari government’s campaign slogan in 2015. But the deep disillusionment that the down-the-line failure and incompetence of the government has actuated has caused millions of Nigerians to redraw the semantic contours of the word. 3. “Padding.” In an October 2, 2016 column titled, “‘Budget Padding,’ ‘Racist’ Economist, ‘Tenants of Democracy’: English on the Move,” I wrote the following about the word: “Although no one definition accurately encapsulates the entire meaning of the term (even House of Representatives Speaker Yakubu Dogara once said he didn’t know what it meant), “budget padding” is generally understood in Nigeria to mean the borderline unethical addition of expenditures to the national budget, especially to allow for ‘constituency projects’ that benefit members of the National Assembly. 4. “Inconclusive.” Nigeria’s Independent National Electoral Commission (INEC) earned notoriety for its inability to conclude elections. At some point, by its own admission, nearly 40 percent of elections it conducted were declared “inconclusive.” Before long, Nigerians renamed the agency as the “Inconclusive National Electoral Commission.” That must have really hurt the organization and caused it to reevaluate its conduct. After the appellative mockery of the organization went viral, it began to conclude its elections, even if in controversial circumstances. But “inconclusive” was also used to describe the tentativeness, mutual contradictions, inconsistencies, policy summersaults, and denials and counter denials that characterized the Buhari administration in 2016. For instance, the 2016 budget was tagged an “inconclusive budget” by Nigerians. It was “padded,” got “missing,” was found, “unpadded,” but ended up being no different from its original “padded” form. And the 2017 budget is even worse than the 2016 budget. By “the other room,” the president meant his bedroom. It was one of the president’s lowest moments in 2016, but his unpresidential verbal indiscretion enriched Nigerian English’s lexical repertoire. “The other room” is now a handy euphemism for “bedroom” in Nigerian English. 6. “Wailer.” “Wailer” now just means a critic of President Buhari (see my September 6, 2015 article titled, “From Febuhari to ‘Wailing Wailers’: Linguistic Creativity Decline of the Buhari Brand”.) It was intended to be pejorative, but in light of the president’s serial letdowns of the people who elected him and his government’s rank ineptitude, people now wear the tag as a badge of honor. There are several informal groups that go by names such as “Wailers Association of Nigeria,” “Association of Wailers for Fair Nigeria and Good Governance,” the “Wailing Wailers Association of Nigeria,” etc. They all say they are wailing against the deceit, hypocrisy, double standard, nepotism, and corruption that fester in the current government. 8. “Lai/Lie.” Most people agree that the Buhari government subsists on lies. It habitually makes promises it absolutely has no intention to keep. As I said in my November 20, 2016 column titled "Oxford Dictionary’s Word of the Year Describes Trumpism and Buharism,” "Lies, deceit, and mindless propaganda are now the oxygen of the Buhari administration. If you deprive it of lies, deceit, and mindless propaganda, it will suffocate and die." It is fitting that the current minister of information, whose notoriety for bald-faced lying is unparalleled, is a man named “Lai” Mohammed. Nigerians now call him “Lie Mohammed.” Lai and liar are now not just homonyms but also synonyms in Nigerian English. 9. “Sting operation.” This phrase trended in Nigeria after operatives of Nigeria’s secret police called their overnight raid of judges’ homes a “sting operation.” But that’s not what the phrase means. A sting operation is an undercover operation in which a law enforcement officer or a cooperative citizen acts as a decoy to get firm evidence of a suspect’s wrongdoing. If Nigeria’s secret police had given marked money to a person who has a case in a court presided over by a corrupt judge and tells the person to use the money to bribe the said judge, and the judge accepts the bribe and is then arrested based on the planted evidence, that would be a sting operation. “Spended: 1. To overspend government resources in a time of recession 2. 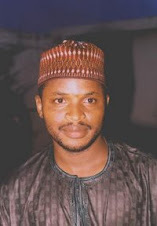 To overspend public funds under PMB's watch and you are about to be discovered!”—Muhammad Thani Uthman.